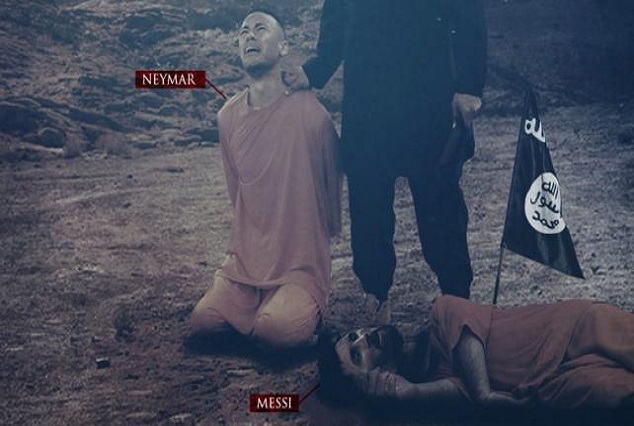 The Islamic State in Iraq and Syria (ISIS) have once again issued threats against FC Barcelona star Lionel Messi and have likewise presented Neymar into their sights. 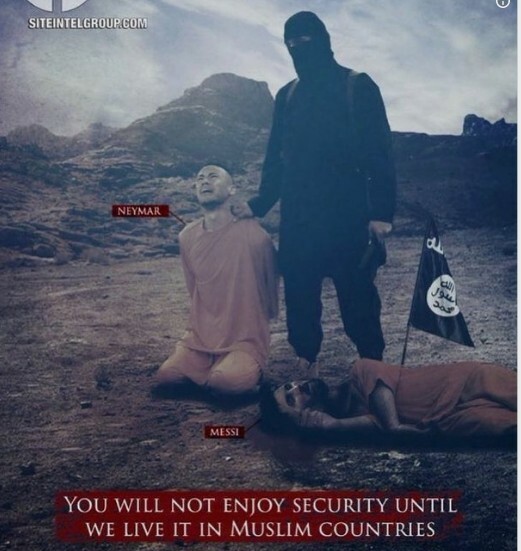 The most recent threat was spread by the WAFA Media Foundation which has a background history by spreading purposeful publicity connected to the radical Islamic sects. The image is a macabre one, Messi can be seen lying dead on the ground after being executed with an executioner looming over Neymar, who is on his knees crying.